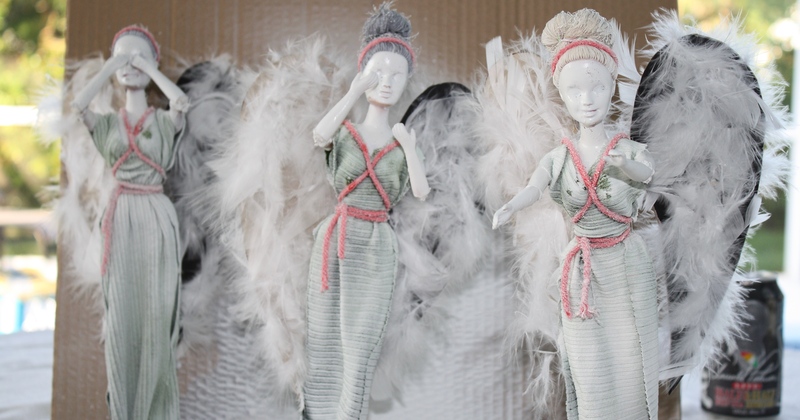 Recently, Nerdist shared a DIY craft tutorial from Off Beat Home on how to turn Barbie Dolls into Weeping Angels from (one of my favorite shows ever) Doctor Who! Having both come across the tutorial separately, my sister and I decided to take on the task together and had a lot of fun doing it! While working through this project, Sarah and I discovered that Off Beat Home’s post and instructions left some of our questions unanswered. We also encountered some issues along the way which we were able to solve with a little creativity. I wanted to share our experience so others might avoid making some time consuming mistakes. A ruler or measuring tape. Prep Dolls :: Fix her hair by putting her hair in a low pony tail. Then, twist hair into a bun. I chose to have my angels with big beauty queen buns on the tops of their head but you may decide to cut the dolls hair shorter and form the bun lower on the head, closer to the neck. It’s your preference. It is also helpful to spray the crap out of her do with extra hold hairspray. Tie string around head. Then, cut off your doll’s arms at the elbow. The dollar store fashion dolls that my sister and I purchased have hollow arms. This made it very easy to cut off the arms. If you use a legit Barbie Doll (which, again, I strongly advise against) you will have a significantly more difficult time cutting the arms and may require a more advanced cutting tool than ordinary scissors since an authentic Barbie’s arms are quite solid. Attach feathers to the wings using hot glue. (Pay attention to your edges!) Don’t even begin to stress about perfection when attaching the wings, once you spray them they will look very different. Just covered the cardboard enough. Cut Strips of Fabric :: Cut fabric into rectangular strips about 18 inches long and 5 inches wide (I only cut mine 4 inches wide and wished I had given myself a bit more in width). I used a green fabric from an old long sleeve tshirt. This fabric ultimately proved to be almost a bit too heavy once covered in glue and paint. I suggest using a thin, lightweight fabric that will crinkle/flow nicely. I also suggest a gray or other light color fabric. Glue Arms in Weeping Angel Positions :: My sister ended up mastering this step in the process. Using a small amount of cotton (cotton balls) she filled in the inevitable gaps in the elbow of each doll. By really manipulating the hot glue and cotton, she was able to secure the arms in position. We did a variety of positions including fully hiding their face, beginning to let their arms down and arms reaching out (which you don’t even have to cut-off and reattach arms if you’re making one in this position). I wish I was better able to describe to you the arm-glueing process or even provide pictures of the process but when working, I simply forgot to document this step properly. I will say not to stress about perfection here either. Hot glue is easily detached if you need to try again and remember that you will be blasting these gals with rocky spray paint; any imperfections and lumps will blend in the end. Just have fun playing Doctor Frankenstein. Glue Dolls to Stands :: Before dressing your ladies, glue her to her stand. Glue the feet to the base (I left my dolls’ shoes on but that really doesn’t matter. Use as much hot glue as you need her, it will be covered they fabric and paint anyway. 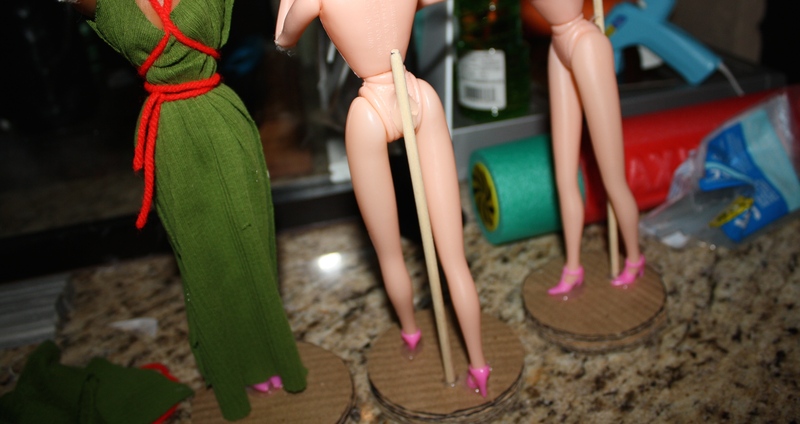 I also used hot glue to attach the wooden dowel to each doll’s bum (right in the crack). When gluing your dolls to their base, keep in mind the shape you’d like them to be in. I knew I wanted my three dolls to be in a series of motion so I glued the 1st Angels legs completely together and straight. The 2nd Angels (who is beginning to take her hands away from her face) is stepping forward with one leg and my 2rd and final Angel (whose arms are stretched out to claim her victim) is stepping forward with the opposite leg. Dress Dolls :: Fold your 18in strips of fabric in half and cut a small, half-moon shape in the fabric. Now, Slip each dolls head through the hole. The Strip of fabric is now draped down the front and back of each doll. Next, use yarn/strong to tie fabric to doll. I chose to: tie around the wait, tieing in the back. Then, bring string up over each of the dolls shoulders. 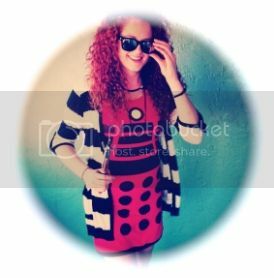 Cris-cross across the doll’s chest and then go around the waist again to tie off on the side. – You can tie your string however you like to/need to. I used bright red yarn and this became difficult to cover with paint later; I suggest gray or another light color yarn. I also suggest yarn over other types of string because it real provided the shape and texture I wanted. 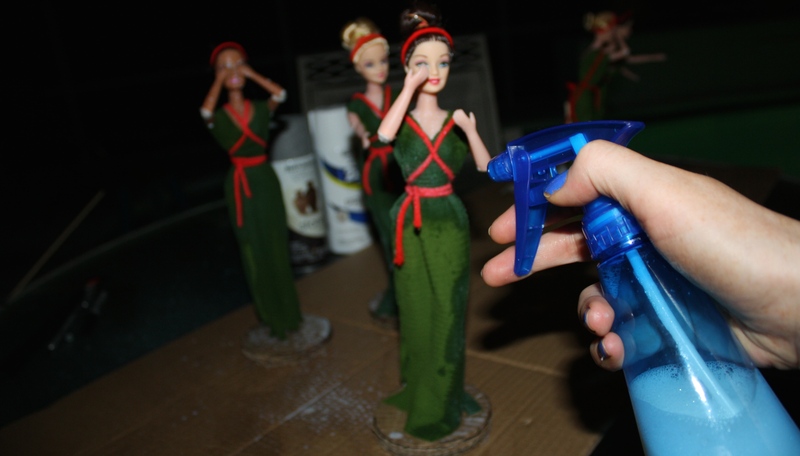 Spray Dolls with Glue & Water Mixture :: This part is vital! Do not skip over this step! Spray your whole doll down with your glue and water mixture. Do multiple coats of this. During this step, you can mold the dress the way you’d like it (I wanted to make sure the motion in the angels legs was seen so I made sure to spray the fabric down to each leg.) Spray the string down into the position you’d like. Spray the hair and string in the hair. Spray the crap out of everything with this glue-water. The solution also creates a first layer barrier for paint to be applied. It stiffens the fabric and hair. DO NOT ATTACH WINGS YET. Primer :: Spray your dolls with primer spray paint. I initially purchased a white primer, this was silly; use gray primer… (duh). 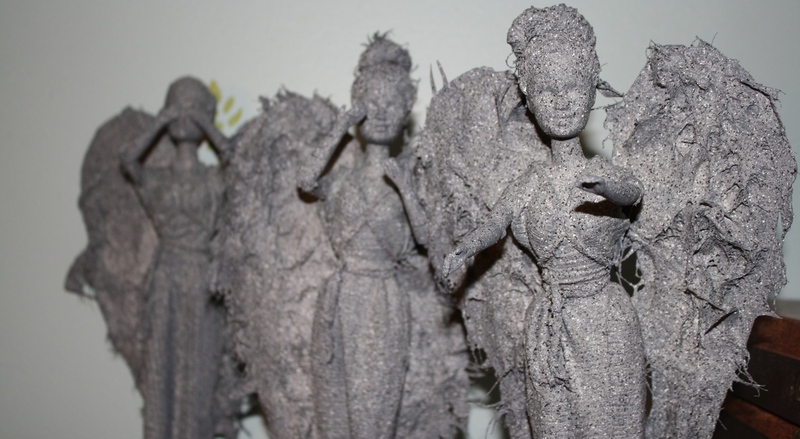 Attach Wings :: After the first coat of primer dries, use hot glue to attach the wings to each angel. Get Stoned :: Finally, after allowing the dolls to dry completely. Spray them with your gray stone spray paint. Let dry completely. The most time consuming steps in the entire process were cutting out the shapes for the wings and attaching the feathers. Drying was also a bit of a problem since we were working in our back yard in south florida and humidity is not a friend of the paint drying process. If possible, bring the dolls inside to dry between each coat. (Cool, dry air is definitely necessary). Once finished, you can go back with a fine tip sharpie and accentuate the facial expressions. I chose to skip this step. If you want to go the extra mile, before spraying your dolls at all, use molding clay to shape out a scary mouth and maybe even eyebrows and glue them to your doll’s face. I’m actually kind of happy that my Angels retained their “Barbie look” with their big hair and hidden smiles. 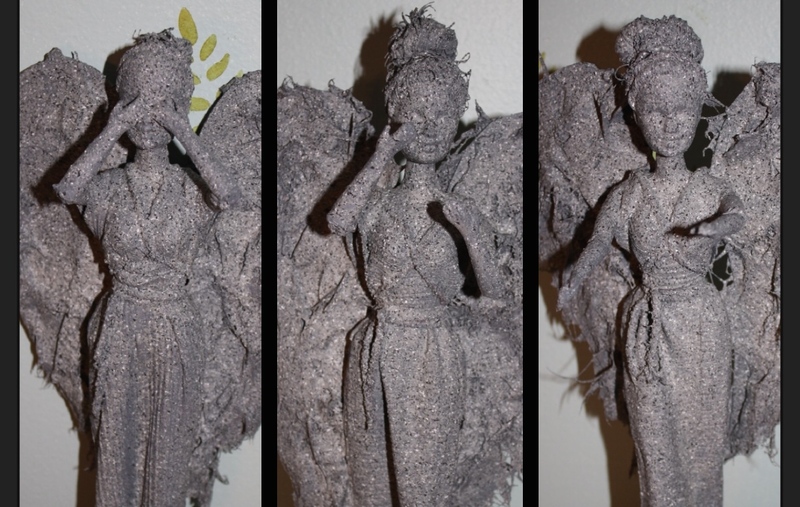 It looks more like “Weeping Angel Barbie” rather than mini Weeping Angels and I like that. You may chose to make yours more sinister. 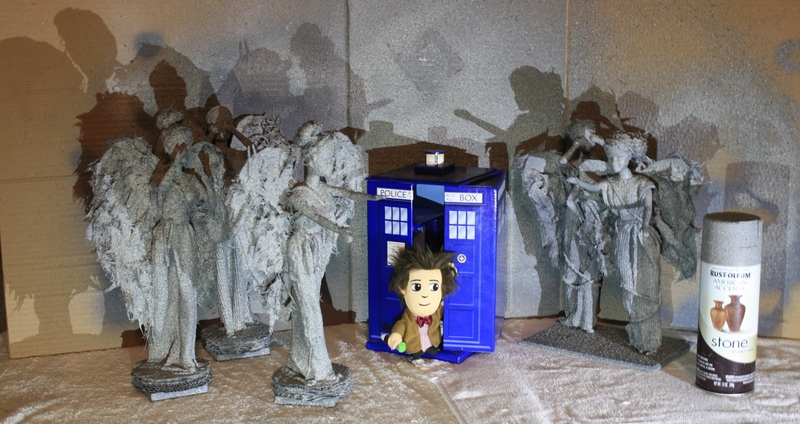 I’m happy to answer any questions you may have and would be excited to see your Weeping Angel dolls! Thanks for reading! Love, GK. 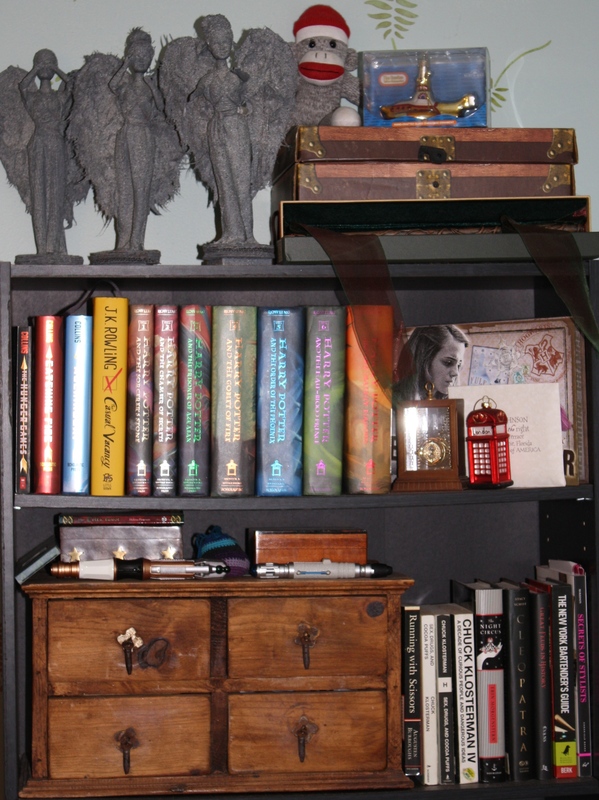 Here’s a peek at how I displayed my Weeping Angels on top of one of my bookshelves. Eventually I’ll find a better spot for these beauties. Yay! They came out so good! I love the picture with The Doctor in the middle of the angels at the end! Those are pretty cool! I have been seeing them all over Facebook as well. Reblogged this on The Adventures of Sarah Jayne.